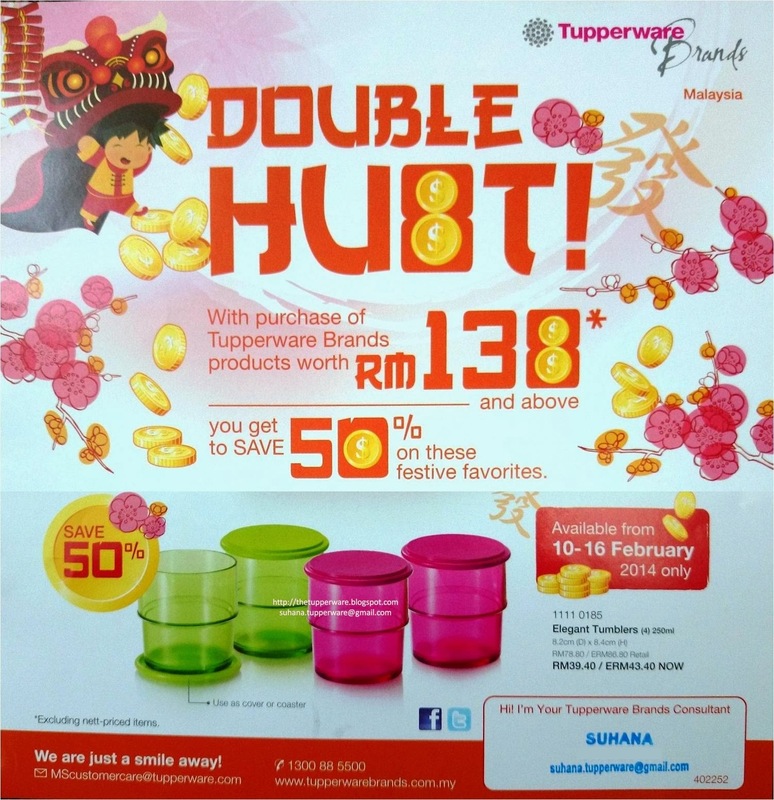 Tupperware Brands Malaysia Online | Catalogue | Collection | Business Opportunity |: Elegant Tumblers Promotion: 10-16 Feb 2014 only! Elegant Tumblers Promotion: 10-16 Feb 2014 only! Elegant Tumblers Promotion: 10-16 February 2014 only! Dengan pembelian minima RM138 (harga selepas diskaun tentu lebih murah), anda dapat jimat 50% bagi pembelian Elegant Tumblers! With purchase of RM138 and above (price after discount is much lower), you'll get 50% saving on Elegant Tumblers! PM us now to make order. You'll get lower price than the special price above. Hurry, offer valid while stocks last! Thin Stor Promotion: 3-9 February 2014 only!